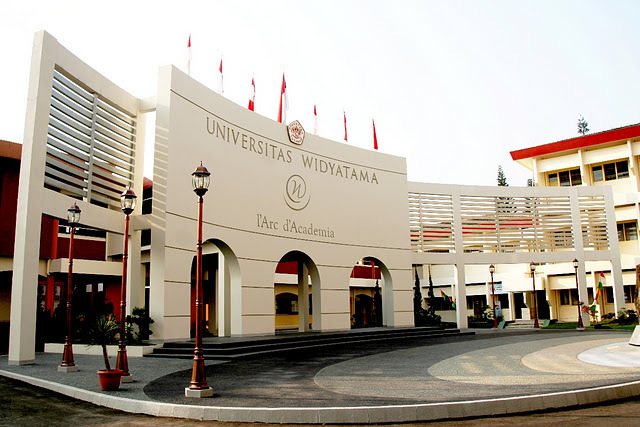 Widyatama University was established on August 2, 2001, based on the Decree of Minister of National Education no. 137 / D / 0/2001. Widyatama University is a merger of Sekolah Tinggi Ilmu Ekonomi Bandung (STIEB), Sekolah Tinggi Ilmu Bahasa Bandung (STIBB), Sekolah Tinggi Teknologi Bandung (STTBW), Sekolah Tinggi Desain Komunikasi Visual (STDKV) and Magister of Management. The incorporation of the academy into the University of Widyatama is purposed to create students become highly competitive graduates. The further step carried out by Widyatama University is developing a serious and consistent effort to realize an education service system by ISO-9001: 2008 standard.